When we ended up coming home with huge bags of candy anyway, I decided to do something different with it. Instead of the bags sitting in the kids room and them munching on it whenever they wanted, I made a cheesecake. 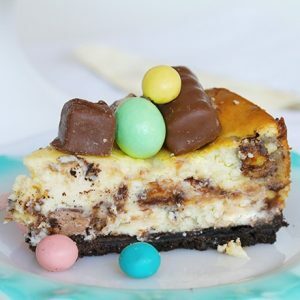 Cover cheesecake in any remaining candy and serve.